I feel blessed and super happy when I receive awards .I never expected such an optimist and brilliant response after joining WordPress. It’s a journey which I’m enjoying the most ,being a little crazy about it.😎. You must not forget to visit his blogs . Thanks is just a small word in front of the love,support which my readers showed to me😘. The best experience and the worst experience on WordPress. When you first thought about writing did you think people will accept it or reject it and why? Writing is my love ,passion and moreover my life.Its me ,I can define myself with it.I can go to any extent to enhance my writing skills.I want to write a Novel ,its my biggest dream but after a few months I quit .I decided to take a small steps in spite of taking a long jump😁.Writing a book is dam painful and require lots of patience. Sorry,I know I break the rules,but I’m helpless bcz all writers are great here and I want to nominate them . 1)Who gave you best appreciation on WordPress for your writing and what they said? 2) Which is the best phase of your life which you will cherish forever and Why? 3)Which is your craziest desire in the life and to what extent you can go to attain it? Thanks a lot to my dear friends and I love you all😍. Congratulations for The Award!!! and Thanks for Nominating me!!! I will soon answer your all questions with full enthusiasm!!!!! Yes,ofcourse I will wait for your answers. Feeling so awkward to ask..but may i know who is that 3rd nomination.?? Yes,I can understand why you feel awkward. Sorry,buddy I have read your post today and found it interesting. I will read your all post ina couple of days,.I have nominated Shubham ,another blogger same name mistake.It is hurting to tell you ,Sorry . Some people might say that you have inferiority complex, regarding your writings, but knowing your level is a different thing. Keep writing, keep learning, keep moving towards your dream. Yes,you said right.I was not confident about my writing and I feel no shame or regret to tell.I’m a straight fodward person who willingly can except pessemisim coming in life,but at the end you will find me same girl with optimist attitude. Thanks for reading it. Bravo! Great answers but do think about your novel!! No ,I left in between .Its a long time I have not worked on it. Yes,I will think about it again. Great! Keep the work on! And keep blogging! Oh,From next time I will do it .I’m new here ,still learning. Okk ,I will take care of it. Vo toh muje bolna chaiye .Chlo mh welcome bol deti hu phr. I mean Gargi Sidana is my name .You can check on Insta nd fb both to connect.Yours name? Okk,I will see. It there. 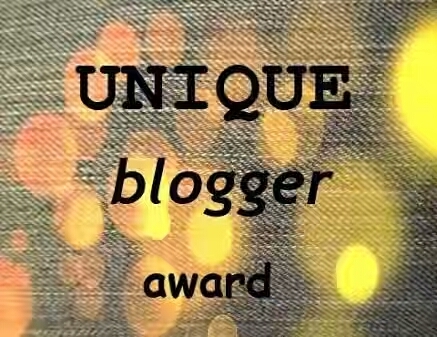 Hey hi… I’ve nominated you for the bloggers recognition award. Do check this out.